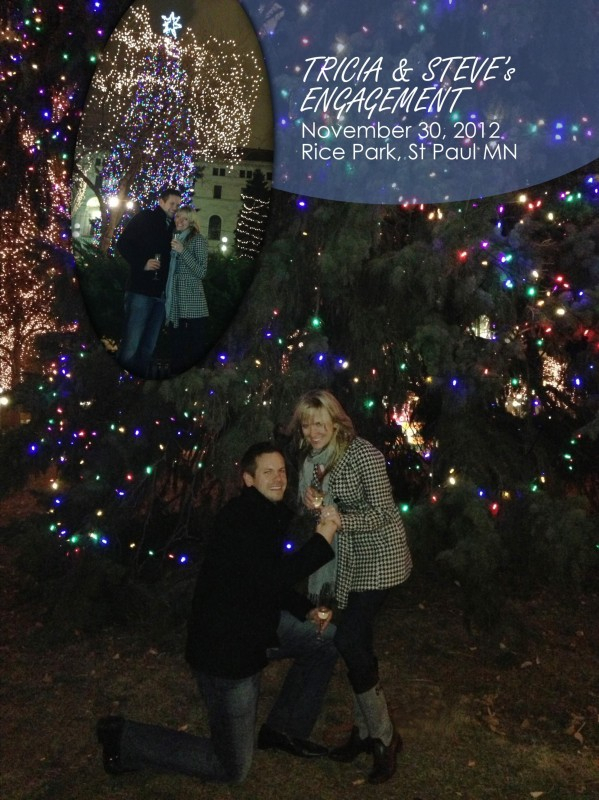 Twas the night before December 1st and St Paul was shimmering, Rice Park had their lights bright for us on that mild night. Being escorted to St Paul Grill by Steve, it was a special treat to end the week. I wasn’t wearing anything fancy but my favorite coral sweater and jeans. If I would have known this night would go down in history I would have worn something a bit more royal for the occasion. After our fabulous dinner, walleye for him and salmon for me, we headed to the bright and shiny Holiday lights in the park. 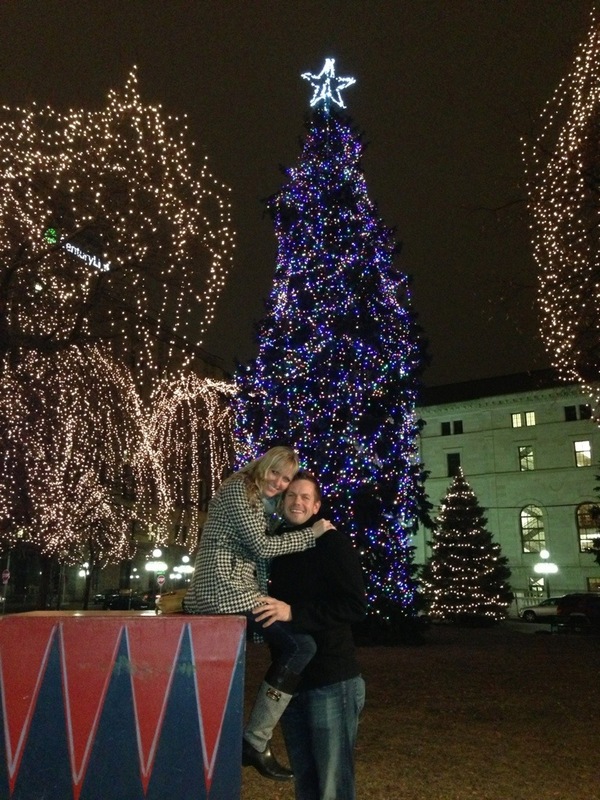 This was our 3rd time at Rice Park, having it also been marked as our 3rd winter season together as a couple. Trying to settle me down from taking random funny pictures in the park, Steve asked to take a picture of just me behind the big blue tree. “Why? That’s kind of strange” I tell him. Steve began to tell me and little did I know that this tree is as tall and bright as the iconic Rockefeller Center tree in New York City and is lit 24 hours a day, seven days a week until January 1 with 15,000 energy-efficient LED lights. As I was standing there smiling and also thinking my boyfriend knows his lights, he began to tell me how much he loves me and began to explain our journey of meeting and falling in love. Before I could ask or think anymore he gets down on one knee. 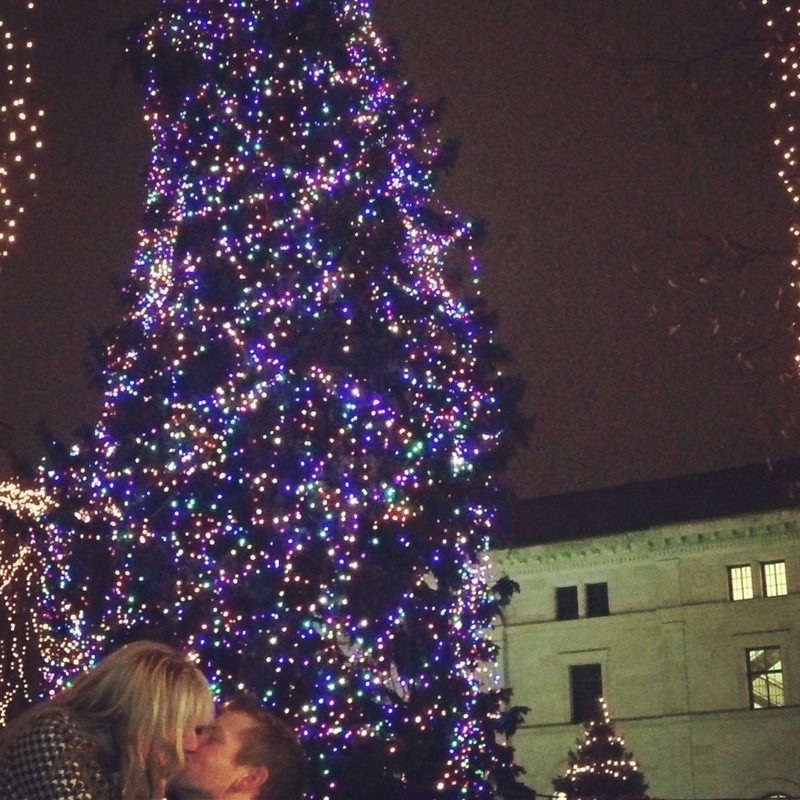 I quickly filled-up with excitement and was shocked to be asked a question so unexpectedly and without any notice or signs to prepare, I took a deep breath as tears rolled down my cheeks and said “Yes”. 11 o’Clock on the dot! Look closely! I looked at my lovely ring and my fiancé and couldn’t help but think this was still a dream. 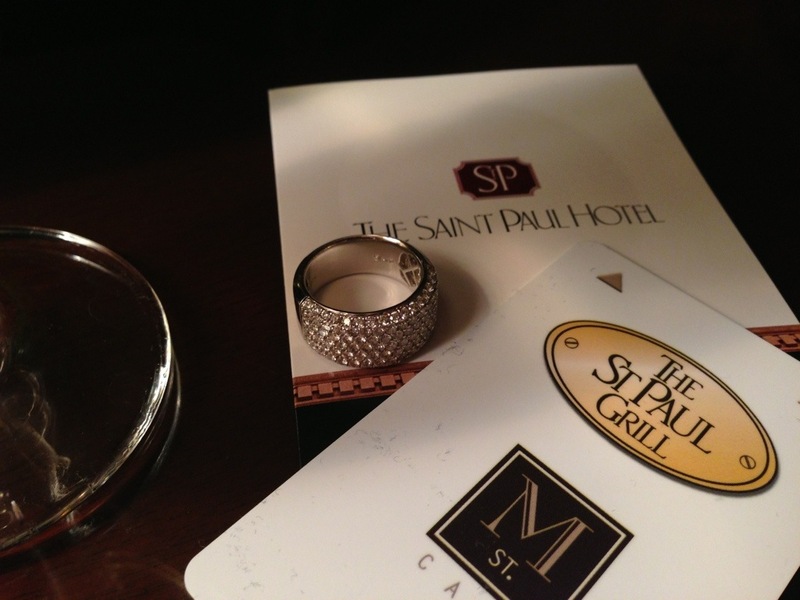 My second surprise was that we were staying at the St Paul Hotel with champagne waiting in the room for us. Happy Wishes to you and may I remind you that the best surprises are the ones that are unexpected. This one I will always hold close to my heart. 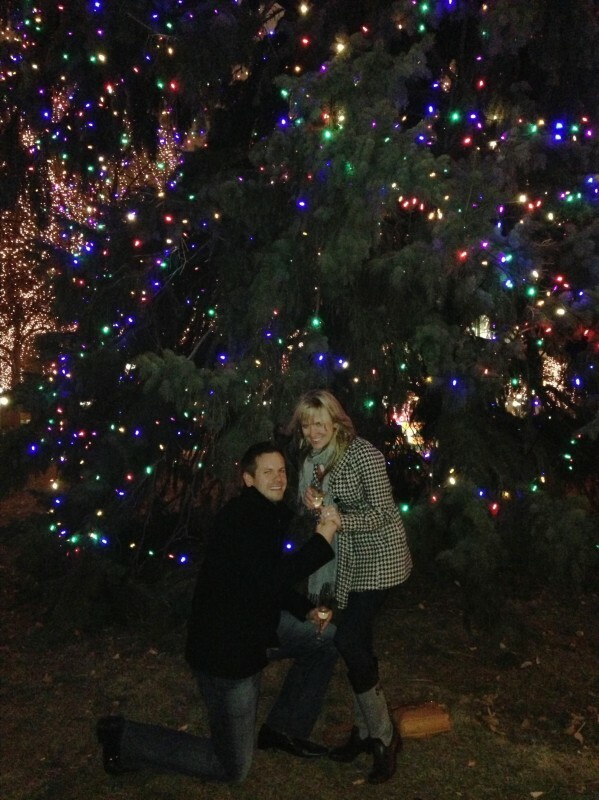 Loving my new bling and look forward to sharing the love this Holiday season with family and friends and my new fiance! 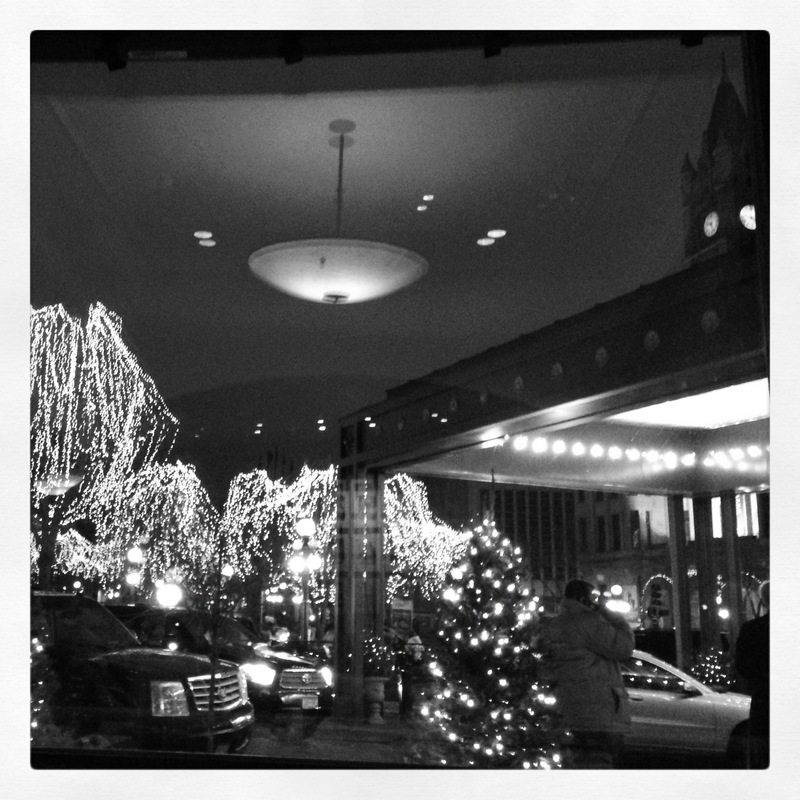 This entry was posted in people-centric, think-tank and tagged Champagne, Christmas lights, Christmas Tree, engaged, Holiday, Hotel, Love, Rice Park, Ring, St Paul, St Paul Christmas Lights, St Paul Grill, St Paul Rice Park, Surprise by mndesigngal. Bookmark the permalink.